When we call someone a sports fan it's supposed to be like a good thing - "He's a great fan". But did you know that this word "fan" comes from the word "fanatic"? That's right - a fan is a fanatic. Here we are today, and our country is in a real mess. How did we get into this mess - We quit being a fan of our America. AND WHAT IS OUR MOST IMPORTANT WEAPON? Just how did we get here in this mess? How did we allow ourselves, our nation, to get so far off track? It's an ugly word - "apathy". Now, I know that we all know this word "apathy", but do you know what it really means? Follow this - the root word in "apathy" is "path". And when you have a path, you have a direction, you are going somewhere. But put the letter "a" in front of any root word and it now means "lack of, null, void, no". So, apathy doesn't mean you're going down a wrong or different path - apathy means you have no path at all.You are so disinterested, so into yourself - that you don't care to even have a path. It's a horrible, disgusting word. it lays the blame on us, "We the people". but instead it falls right "smackdab" on us. and when we are ruled by apathy we are pathetic. Let them say that I am a fanatic - I'd better be. I'm a fan of America. and I will not apologize for being a fan of America." I will be a fan - I will be a fanatic - because I, one of "We the People", I want my America back. The Bible says that "God can turn the heads of Kings", and we need for God to speak to the hearts of our nation's leaders to help them see what must be done for our America. Being a nation's leader is not easy, and instead of criticizing them, we need to pray for them to have the courage and wisdom to do the right thing. Our plan here at "Saving the Nation" is simple. 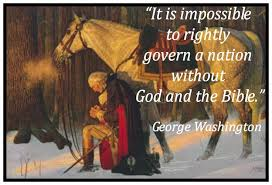 We are asking for Prayer Warriors all across America to agree to pray for just one of our nation's leaders every day from now until the Presidential Inauguration on January 20, 2017. Please send your name to [email protected] and we will send you the name of your leader to pray for with a little information about that person. I will watch for your emails! Stop Complaining and Criticizing, and instead, Start Praying!